Grave concerns regarding the impact of proposed housing benefit cuts on the most vulnerable social groups have also arisen. Last month a specialist housing association warned that people under the age of 35 in mental health accommodation face rent shortfalls of almost £200 a week under government plans to cap housing benefit for social housing tenants at Local Housing Allowance rates. John Healey MP, Labour’s Shadow Cabinet Minister for Housing and Planning, warned at the time that housing providers could be forced to close accommodation for the most vulnerable because of housing benefit cuts. Brighton Housing Trust (BHT) said that its fincancial modelling of the impact of capping housing benefit for social tenants, including supported housing tenants, at Local Housing Allowance rates revealed that 70% of all its homes would be unaffordable to under 35s under the plan, as they would only qualify for the “shared room rate” – the cost of renting a single room within a house. The Trust said in its specialist supported housing, under-35s would face a shortfall of between £52.60 and £193.49 in 71 of 101 mental health units. There would also be shortfalls of up to £75 per week in specialist drug and alcohol units, homelessness hostels and young people’s accommodation. Tenants older than 35 would also be unable to afford many of the homes, although the benefit gaps would be smaller. BHT is a specialist housing association which provides for tenants with support needs, even in much of its general needs accommodation. The association warned that the government’s offer of additional Discretionary Housing Payments to plug the rent shortfalls would also be insufficient. “New homes for people with support needs – vulnerable people – that would be being built have been cancelled. The impacts of the LHA cap are real and immediate. The threat alone has caused the building of thousands of specialist homes for the nation’s most vulnerable to grind to a halt. And if the cap comes into force, our research suggests that 156,000 specialist homes could be lost. The PM has said that this would be a government that supports the vulnerable. But if this cap applies, society’s most vulnerable – dementia patients, women fleeing domestic violence, army veterans suffering mental health problems, older and disabled people – will be asked to find an extra £68 a week. Mr Osborne said the move, which will affect England, Scotland and Wales, would deliver savings of £225m by 2020-21, and is part of a £12bn package of cuts from the welfare bill. Conservative ministers claim they are reviewing the sheltered housing sector “to ensure it works in the best way possible”. But hundreds of planned new sheltered accommodation units have been delayed or scrapped owing to proposed cuts to housing benefit. And several housing associations have said they are no longer financially viable. The National Housing Federation (NHF) has calculated that nearly 2,500 units have so far been scrapped or delayed as sheltered housing providers face losing an average of £68 a week per tenant. Flats for elderly people and people with learning disabilities are more expensive to build and run because they provide crucial additional support. Concerns raised about the cap on housing benefit will affect society’s poorest and most vulnerable people, such as women fleeing domestic violence, dementia patients, army veterans suffering mental health problems, older and disabled people, because these peoeple will need to find an extra £68 a week. “George Osborne’s crude cuts to housing benefit could mean tens of thousands of people losing their homes, including elderly people with dementia, veterans and women fleeing domestic violence. “The consequences of these cuts are being felt right now, with the building of thousands of new homes stopped or scrapped because of Ministers’ failure to act. Now the UK “social security” system is anything but. It has regressed to reflect the philosophy underpinning the 1834 Poor Law, to become a system of punishments aimed at the poorest and most marginalised social groups. The Poor Law principle of less eligibility – which served as a deterrence to poor people claiming poor relief is embodied in the Conservative claim of Making work pay: benefits have been reduced to make the lowest paid, insecure employment a more appealing option than claiming benefits. The draconian benefit sanctions are about depriving people of their lifeline benefits because they have allegedly failed to comply in some way with increasingly stringent welfare conditionality – which is aimed at enforcing compliance, “behaviour change” and achieving reductions in welfare expenditure rather than supporting people claiming benefits and helping them to find work. Removing a person’s means of meeting basic survival needs presents significant barriers to that person finding work. If we can’t meet our basic needs, we cannot be motivated or “incentivised” to do anything but struggle for survival. Abraham Maslow’s hierarchy of needs. Such a political aim of “behaviour change” is founded entirely on assumptions and moral judgements about why people are unemployed or underpaid. And of course serious concerns have arisen because sanctions have tended to be extremely discriminatory. Young people, women with childcare responsibilities, people with learning disabilities, people with mental illnesses and disabled people are particularly vulnerable as a consequence of the rigid conditionality criteria. 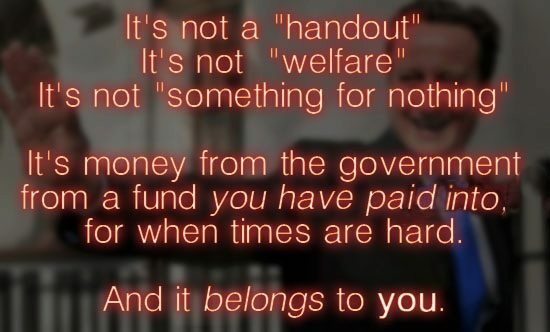 Frankly, such an approach to welfare seems to be cruelly designed to exclude those people who need support the most. Not only does the current government fail to recognise socio-economic causes of poverty, poor wages, underemployment and unemployment because of political decision-making – preferring to blame individuals for economic misfortune – it also fails to recognise the detrimental wider social and economic implications of penalising poor people for the conservative engineering of a steeply hierarchical society. As a government that values social inequality, and regards it as necessary for economic growth, insolvency and poverty for some is intrinsic to the Conservative ideological script and drives policy decisions, yet the Tories insist that individuals shape their own economic misfortunes. Worse, the Conservatives are prepared to leave people without a basic means of support – one that the public have paid for themselves. 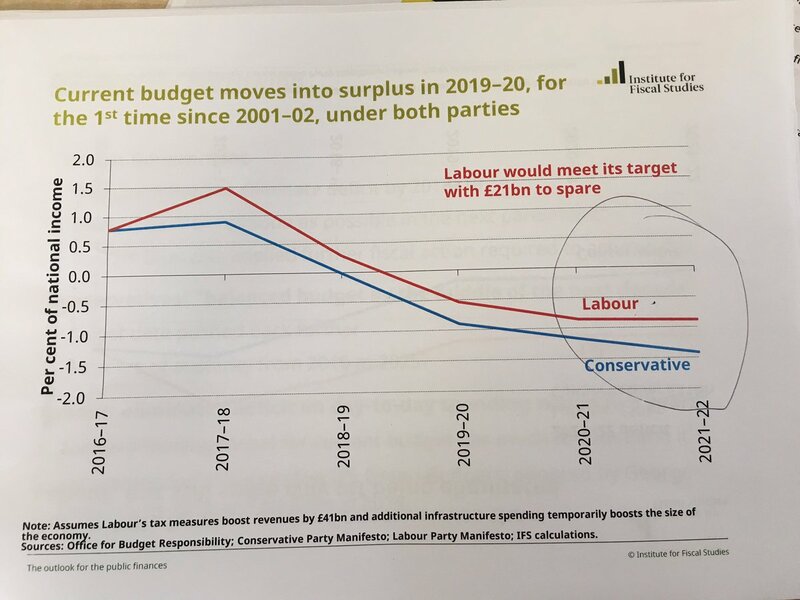 Austerity – which is aimed at the poorest members of society – has served to increase inequality, and since the Tory welfare “reforms,” we have seen a re-emergence of absolute poverty. Up until recently, our welfare system ensured that everyone could meet their basic survival needs. That no longer is the case. A welfare state is founded on the idea that government plays a key role in ensuring the protection and promotion of the economic and social well-being of its citizens. It is based on the principles of equality of opportunity, equitable distribution of wealth, and both political and social responsibility for those unable to avail themselves of the minimal provisions for well-being. It was recognised that people experienced periods of economic difficulty because of structural constraints such as unemployment and recession, through no fault of their own. It was also recognised that poor health and disability may happen to anyone through no fault of their own. The welfare state arose in the UK during the post-war period, and following the Great Depression, for numerous reasons, most of these were informed by research carried out into the causes of poverty, its effects on individuals and more broadly, on the UK economy. There were also political reasons for the Conservatives and Liberals supporting the poorer citizens – the newly enfranchised working class. Charles Booth in London and Sebohm Rowntree in York carried out the first serious studies of poverty and its causes. They both discovered that the causes were casual labour, low pay, unemployment, illness and old age – not laziness, fecklessness, drunkenness and gambling, as previously assumed. 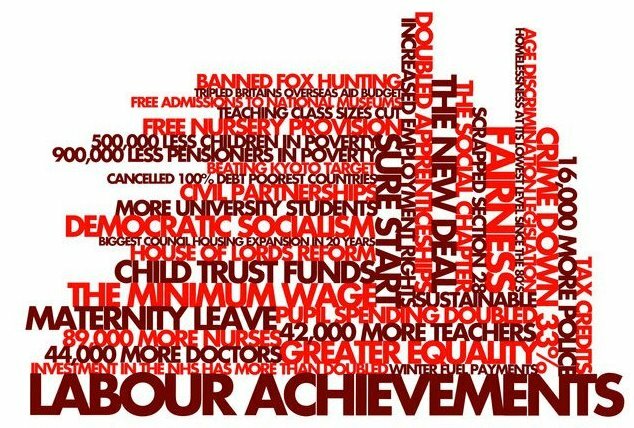 The poverty studies raised awareness of the extent of poverty in Britain and the myriad social problems it caused. The Boer war of 1899-1902 highlighted the general poor state of health of the nation. One out of every three volunteers failed the army medical due to malnutrition, other illnesses due to poor diet and very poor living conditions. The military informed the government at the time of the shockingly poor physical condition of many of those conscripted. It was realised that the effects of poverty were potentially damaging to the whole of society. Health problems and infectious disease – rife in the overcrowded slums – could affect rich and poor alike. It was recognised that the economy suffered if large numbers of people were too poor to buy goods and social problems such as exploitation, debt, crime, prostitution and drunkenness were a direct result of poverty, and not the cause of it. The discovery of widespread poor health as a consequence of poverty raised concerns about Britain’s future ability to compete with new industrial nations such as Germany and the USA. National efficiency would only increase if the health and welfare of the population improved. The growth of the Labour Party and Trade Unionism presented a threat to the Liberals and the Conservatives. The new working class voters were turning to these organizations to improve their lives. The traditionally laissez-faire Liberals recognised this and supported the idea of government help for the working class. The current Conservative government has taken a distinctly behaviourist turn – a form of psychopolitics which essentially reduces explanations of poverty to the personal – blaming poor people for poverty and unemployed people for unemployment, formulating policies that are about making people change their behaviour, based on a simplistic “cause and effect” approach. The government nudges and we are expected to comply. Increasing the use of benefit sanctions is one policy consequence of this psychopolitical approach. Of course this brand of psychopolitics is all about the government assuming the fallibility of the population and the infallibility of the government when it comes to decision-making and behaviours. Although Cameron claims that “Nudge” draws on a “paternalistic libertarian” philosophy, any government that acts upon a population, by reducing liberties, choices and by imposing behavioural modification without public consent – expecting people to change their behaviours and choices unwittingly to fit with what the state deems “right,” rather than reflecting public needs via democratic engagement and a genuine dialogue, is actually authoritarian. As I’ve said elsewhere, welfare has been redefined: it is pre-occupied with assumptions about and modification and monitoring of the behaviour and character of recipients, rather than with the alleviation of poverty and ensuring economic and social well-being. Further intention of directing behavioural change is at the heart of policies that restrict welfare support such as tax credits to two children. The Conservatives have recently announced plans to cut welfare payments for larger families. Whilst this might not go as far as imposing limits on the birth of children for poor people, it does effectively amount to a two-child policy. A two-child policy is defined as a government-imposed limit of two children allowed per family or the payment of government subsidies only to the first two children. Of course this is justified using a Conservative ideologically driven scapegoating narrative of the feckless family, misbehaving and caught up in a self-imposed culture of dependence on welfare. This restriction in support for children of larger families, however, significantly impacts on the autonomy of families, and their freedom to make decisions about their family life. Benefit rules purposefully aimed at reducing family size rarely come without repercussions. It’s worth remembering that David Cameron ruled out cuts to tax credits before the election when asked during interviews. Tax credit rates weren’t actually cut in the recent Budget—although they were frozen and so will likely lose some of their value over the next four years because of inflation. Firstly, this is a clear indication of the Tories’ underpinning eugenicist designs – exercising control over the reproduction of the poor, albeit by stealth. It also reflects the underpinning belief that poverty somehow arises because of faulty individual choices, rather than faulty political decision-making and ideologically driven socio-economic policies. Moreover, a policy aimed at restricting support available for families where parents are either unemployed or in low paid work is effectively a class contingent policy. The tax child credit policy of restricting support to two children seems to be premised on the assumption that it’s the same “faulty” families claiming benefits year in and year out. However, extensive research indicates that people move in and out of poverty – indicating that the causes of poverty are structural rather than arising because of individual psychological or cognitive deficits. The Joseph Rowntree Foundation published a study that debunked the notion of a “culture of worklessness” in 2012. I’ve argued with others more recently that there are methodological weaknesses underlying the Conservative’s regressive positivist/behaviourist theories, especially a failure to scientifically test the permanence or otherwise of an underclass status, and a failure to distinguish between the impact of “personal inadequacy” and socio-economic misfortune. Despite the fact that continuity of deprivation across generations is by no means inevitable – the theory is not supported by empirical research – the idea of the cycle of “worklessness” has become “common sense.” Clearly, common perceptions of the causes of poverty are (being) misinformed. The individual behaviourist theory of poverty predicts that the same group of people remain in poverty. This doesn’t happen. Many families are in work when they plan their children. Job loss, an accident or illness causing disability, can happen to anyone at any time. It’s hardly fair to stigmatise and penalise larger families for events that are outside of their control. Many households now consist of step-parents, forming reconstituted or blended families. The welfare system recognises this as assessment of household income rather than people’s marital status is used to inform benefit decisions. The imposition of a two child policy has implications for the future of such types of reconstituted family arrangements. People who are in favour of eugenics believe that the quality of a race can be improved by reducing the fertility of “undesirable” groups, or by discouraging reproduction and encouraging the birth rate of “desirable” groups. Eugenics arose from the social Darwinism and laissez-faire economics of the late 19th century, which emphasised competitive individualism, a “survival of the wealthiest” philosophy and sociopolitical rationalisations of inequality. Eugenics is now considered to be extremely unethical and it was criticised and condemned widely when its role in justification narratives of the Holocaust was revealed. But that doesn’t mean it has gone away. It’s hardly likely that a government of a so-called first world liberal democracy – and fully signed up member of the European Convention on Human Rights and a signatory also to the United Nations Universal Declaration – will publicly declare their support of eugenics, or their totalitarian tendencies, for that matter, any time soon. But any government that regards some social groups as “undesirable” and formulates policies to undermine or restrict that group’s reproduction rights is expressing eugenicist values, whether those values are overtly expressed as “eugenics” or not. Conservatives are not known for valuing diversity, it has to be said. A recent assessment report by the four children’s commissioners of the UK called on the government to reconsider its deep welfare cuts, voiced “serious concerns” about children being denied access to justice in the courts, and called on ministers to rethink plans to repeal the Human Rights Act. The commissioners, representing each of the constituent nations of the UK, conducted their review of the state of children’s policies as part of evidence they will present to the United Nations. Many of the government’s policy decisions are questioned in the report as being in breach of the convention, which has been ratified by the UK. Another worry is the impact of changes to welfare, and ministers’ plan to cut £12bn more from the benefits budget. 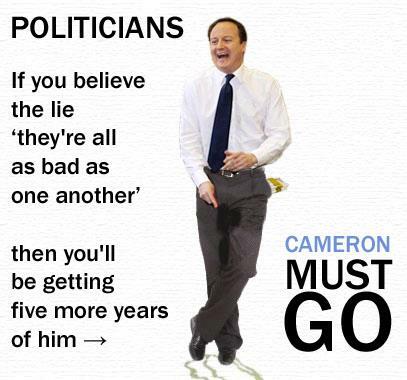 There are now 4.1m children living in absolute poverty – 500,000 more than there were when David Cameron came to power. Nordic welfare models include support for a universalist welfare state which is aimed specifically at enhancing individual autonomy, promoting social mobility and ensuring the universal provision of basic human rights, as well as for stabilizing the economy, alongside a commitment to free trade. The Nordic model is distinguished from other types of welfare states by its emphasis on maximizing labor force participation, promoting gender equality, egalitarian and extensive benefit levels and the large magnitude of income redistribution. Nobel Prize-winning economist Joseph Stiglitz has noted that there is higher social mobility in the Scandinavian countries than in the United States, and argues that Scandinavia is now the land of opportunity that the United States once was. The Nordics cluster at the top of league tables of everything from economic competitiveness to social health to happiness. They have avoided both southern Europe’s economic sclerosis and America’s extreme inequality. Development theorists have taken to calling successful modernisation “getting to Denmark”. The Nordics demonstrate very well that it is possible to combine competitive capitalism with a large state: they employ 30% of their workforce in the public sector, compared with an OECD average of 15%. The main lesson to learn from the Nordics is not ideological but practical. The state is popular not because it is big but because it works. A Norwegian pays tax more willingly than a Californian because he or she has access to decent schools, support when times are difficult and free health care as a result. Norway ranks among the richest countries in the world. GDP per capita is among the highest in the world. Norway regards welfare services not as social costs but as fundamental social investment for open innovation and growth. Innovation should not be an opportunity for a few only. It should be democratised and distributed in order to tackle the causes of growing inequality. We can’t afford not to have a welfare state. By Maria Eagle Shadow Secretary of State for Environment, Food and Rural Affairs, February 18th, 2015. Ten years ago the Labour Party ended the cruel practice of hunting with dogs, because we believe that causing defenceless animals to suffer in the name of sport has no place in a civilised society. 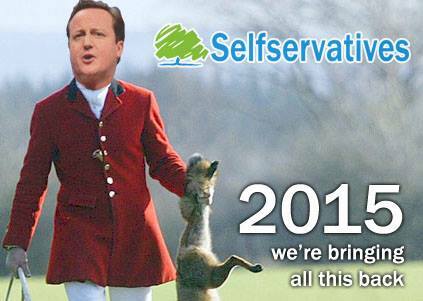 But just as we celebrate the Hunting Act, the Tories plan to repeal it. Only Labour can protect the Hunting Act because Labour is the only major party committed to defending it. Travelling circuses are no place for wild animals. Being moved from place to place in cramped and substandard enclosures, forced training and performance, loud noises and crowds of people are the unavoidable distressing realities for animals in circuses. Despite promising to ban the use of wild animals in travelling circuses, the Tory-led Government has failed to do so. The next Labour government will ban this cruel practice. Badger culls are supposed to reduce Bovine TB but experts say the Tories’ culls will make the problem worse. Following repeated failures to meet deadlines and targets, the Tories are effectively pursing an unscientific mass cull with no rigorous monitoring or evaluation. Labour will end this and develop a better plan to eradicate Bovine TB. At present we have ineffective regulation, a lack of information for pet owners and a failure to deal with irresponsible and cruel breeding practices. Labour will review the inadequate regulations on the sale and breeding of dogs and cats and develop a new strategy to improve their welfare. More needs to be done to protect animal welfare on shooting estates. The next Labour government will undertake an independent review into the most effective way to end the illegal persecution of birds of prey, such as the hen harrier; prevent non-target animals getting trapped in snares; and ensure the humane treatment of game birds. The humane treatment of animals should be a benchmark for any civilised society. National governments have a duty to work together to prevent cruelty around the world. Labour will push to end all commercial whaling and prevent the poaching and near extinction of endangered species such as elephants, rhinos and tigers. Here’s more on Labour’s plans to protect animals. What Labour achieved lest we forget: animal welfare. 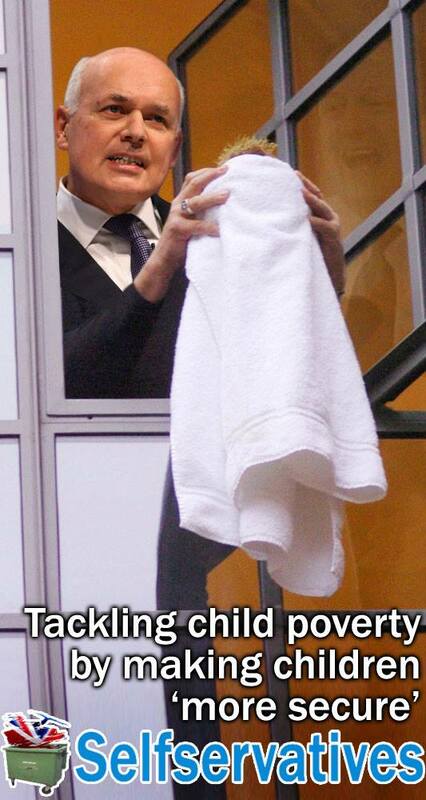 Many thanks to Robert Livingstone for the memes.